The software is equipped with an automatic installer. I run it by typing the URL of the page the name of the file install.php (http://phpbluedragon.eu/install.php). The first installation step is to choose the language. When you change the page will automatically refresh the choice of our language. The second step is to check the requirements for the server. Among other version of the PHP interpreter, access to the service port, the database MySql, Curl and a library DomDocument. In the case where any of the items will be in the red installation is not possible. The third step is to check the permissions to the directory in which the system will save the data, or allow another application on their consolidation. All these directories must have read and write permissions (chmod 777 directory). In the fourth step you will be informed about the access to the file system. The installer will automatically add them to the set of our data. Files should be set to the right to read and write by the server (chmod 666 file.php). The fifth step is used to define the URL of our page, it is automatically populated and the address of our e-mail. 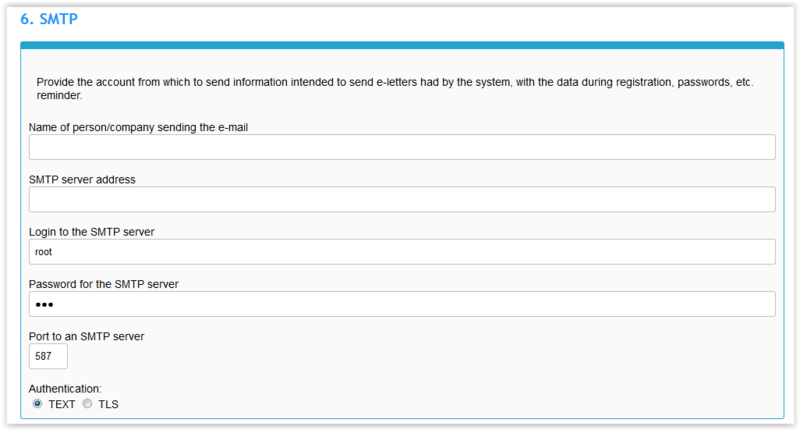 In the sixth step, you must define the data to the mail server. With it, the system will send a message. Enter name/nickname, SMTP server address, username, password authentication, server port and authentication method. Step seven is the place to define our data into the database in which to store information from the system. 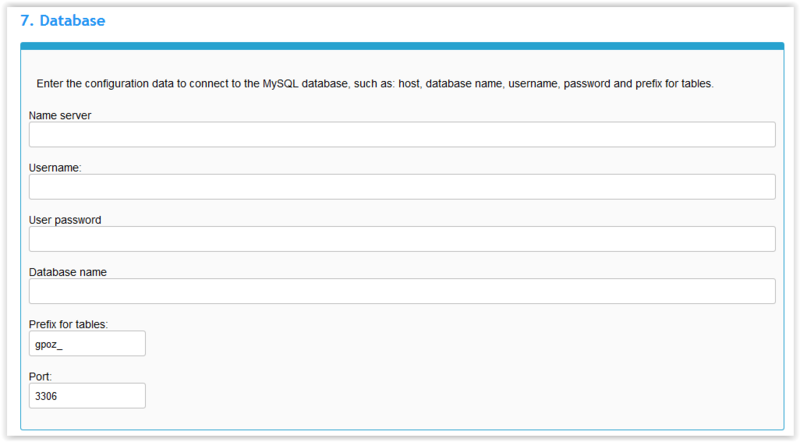 Enter consecutively: server name, user name and password, database name, prefix to the tables in the database and port. In the eighth step, once you have filled out all fields click on the Install button. The system will install what you'll be told the message. A very important thing is to write-off the data displayed on the page after the installation, as they are data for authorization. Then delete the file install.php from the server.